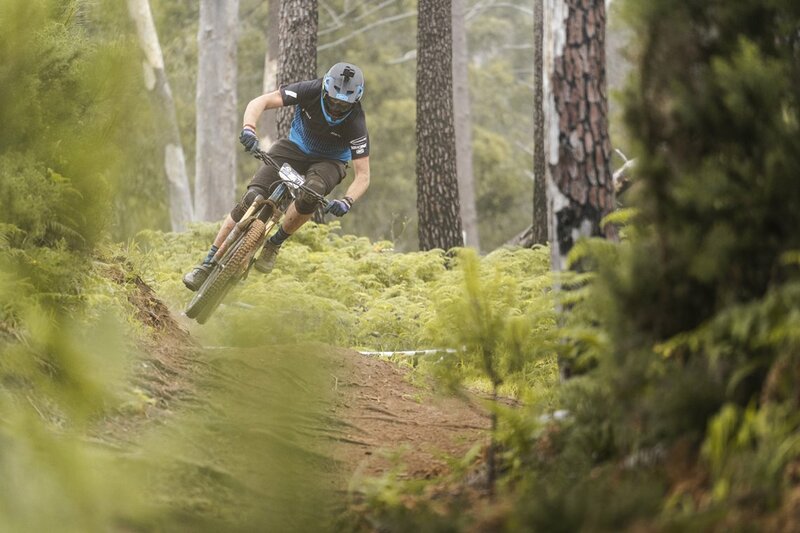 Paul van der Ploeg is a name synonymous with mountain biking in Australia. 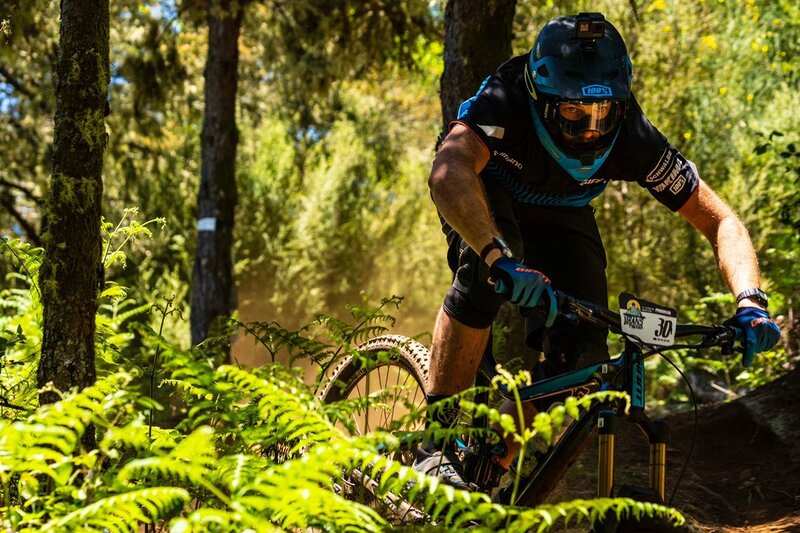 With his roots originating in XC mountain biking and after winning a World Title in the short and fast XC-Eliminator format, Paul has now turned his focus to Enduro mountain biking in a big way. 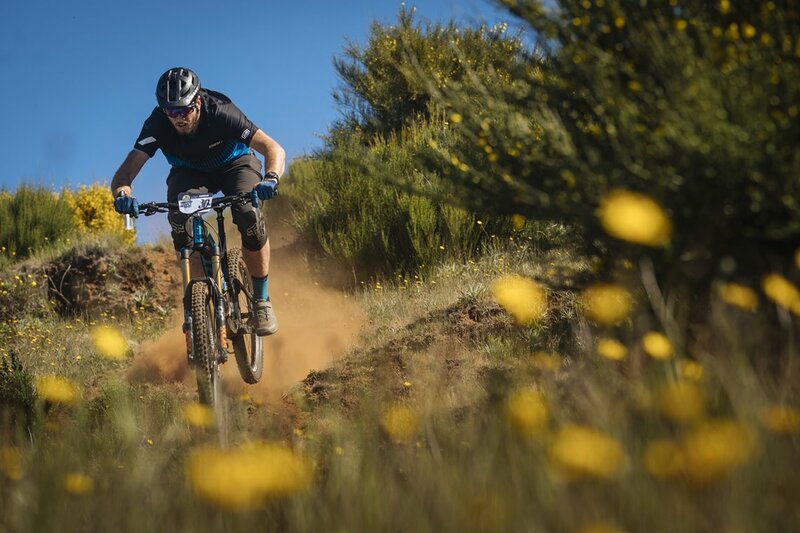 As well as taking on various rounds of the Enduro World Series in early June, Paul made his way from the European mainland over to the Portugese archipelago of Madeira for the first inaugural Trans Madeira race. Photos: Duncan Philpott & Simon Nieborak. I looked down the trail and could see a big jump. With no knowledge of the trail I pulled up and landed off line with my momentum taking me sideways and the wheels lost traction. 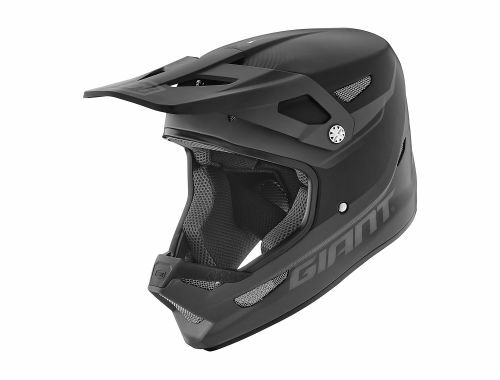 Dirt, sky, dirt sky, I tumbled off my bike… that’s the risk of blind racing and here is how I got myself into that situation. When I first heard about the Trans Madeira I was immediately excited. I raced the EWS (Enduro World Series) event there in 2017 and it was awesome. 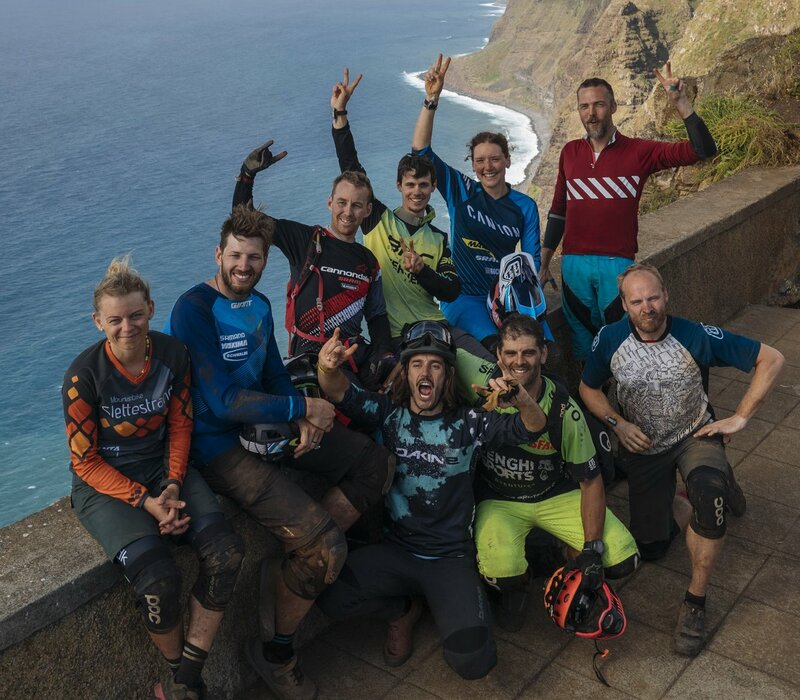 Madeira is an island off mainland Portugal, the only way to describe the island is if you imagine Jurassic Park… if Jurassic park was a mix of retired British people and dirty mountain bikers! I entered the Trans Madeira without really doing much research. It is a 5-day gravity enduro event with 29 special stages (think wild downhills), over 200km of riding and an average of 1500m of climbing and 2700m of descending per day!!! Each day the course starts at the top of the main mountain range and explores different parts of the island. As this was the event’s first year there was always going to be a few surprises. With that in mind I decided to make my Giant Reign as aggressive as possible before I left Australia. I upgraded the brakes to Shimano Saint. I had my Fox 36 forks increased to 180mm of travel with a new air spring. I had cushcore foam inserts installed in my wheels with Schwalbe Magic Mark Addix super gravity tyres. My theory was that you couldn’t go too big with the trail bike setup. It turned out I needed every bit of that Giant Reign for the race. Flying in solo to a multi-day race on the other side of the world was a bit daunting, even for an extroverted person like myself. I didn’t know anyone else at the event on a personal level. The riders knew were people that I've said a casual ‘hello' to over the years at world cups and EWS races. As I sat at dinner alone on the first night I was questioning the whole idea of doing the race… Would I make any friends? or was I just going to be riding around in the jungle for 5 days alone? 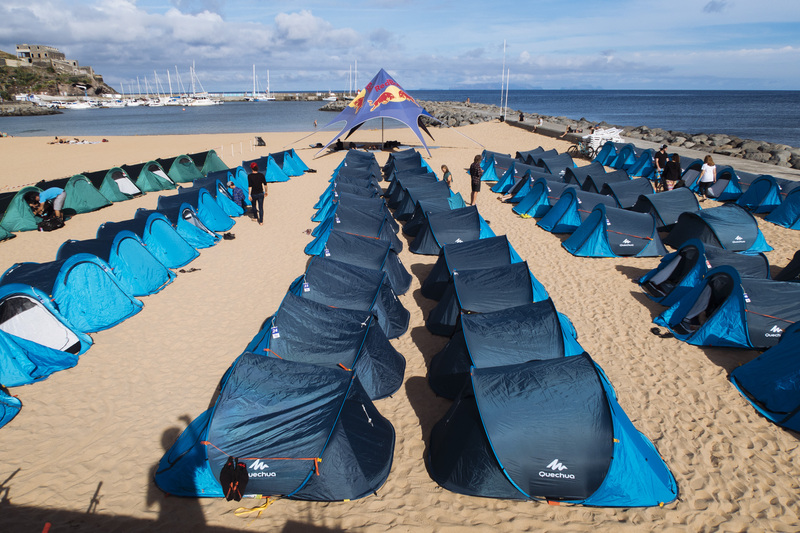 We were also sleeping in tents on the beach of Machico and I already had sand all through my tent and sleeping bag. All of the riders nervously loaded into the shuttle and I squished into a seat next to Yoann Barelli (French EWS rider), who was even more nervous than the others because he had to borrow a bike after his had been lost in transit. I had a good chat to Yoann and soon we were above the cloud line and the remote mountain landscape… picture cliffs coming straight out of the ocean leading up to a 1800m peak. At the top we found our bikes and rolled out to the first stage. It was a similar start point to the EWS from the year before, but they had taken out the climb thankfully. I rode pretty tight and sketchy on the first day. I was nursing a sprained thumb from a silly crash in the UK only a few days before the race. I also thought it was a good idea to leave my seat so when using the dropper it was at optimum pedalling height… it was not! *NOTE* My legs are so long that even on an XL Reign I have almost 100mm of post PLUS the 150mm dropper. On a positive note it was fun riding with people that I admired from the DH World Cup world. I had watched Steve Peat win the World Champs in Australia in 2009 when I raced XC and I also stood next to the finish when Josh ‘Ratboy' Bryceland smashed his foot while on a winning run in Norway in 2014. It was nice that they also knew me from my racing and we were able to just ride together during the day. 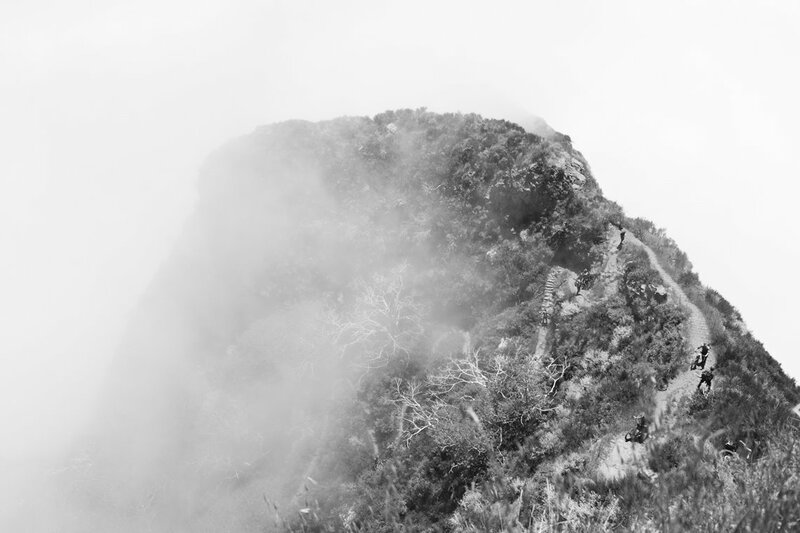 One of the craziest stages on day 1 was the cliffside trail that is becoming iconic to Madeira. I led Yoann into the stage and the pressure of having him on my wheel got to me and I blew out the first 2 corners and smashed my elbow into a rock! By the end of the day I was scratching my head wondering how I was going to get through the next 4 days of racing. On the results sheet Jerome Clementz was leading ahead of Ratboy and local hero Emanuel Pombo (I was somehow in the mix in 10th). Already the riders were showing signs of fatigue after a big first day. We soon got our first taste of some Madeira hike-a-bike with ridiculous views and a sense of being in the middle of nowhere. I figured out how to ride my bike again by dropping my seat post an extra 50mm before the start of each special stage and kept it rubber side down. On one stage I tried to follow Jerome and was so impressive to see his smooth riding style! At the second feed zone Yoann was so scared on his borrowed bike that he and Ines Thoma had a Poncha (traditional cocktail from Madeira) to calm the nerves! On the last transition Jerome had some French rap music playing to keep the mood high. It was turning out to be a real team effort to complete the challenges of each day. The final two stages started above the cloud line and then dropped into a thick cloud. It was scary enough trying to ride, let alone race, through rocky grass ridge lines only seeing a metre or so in front of you. 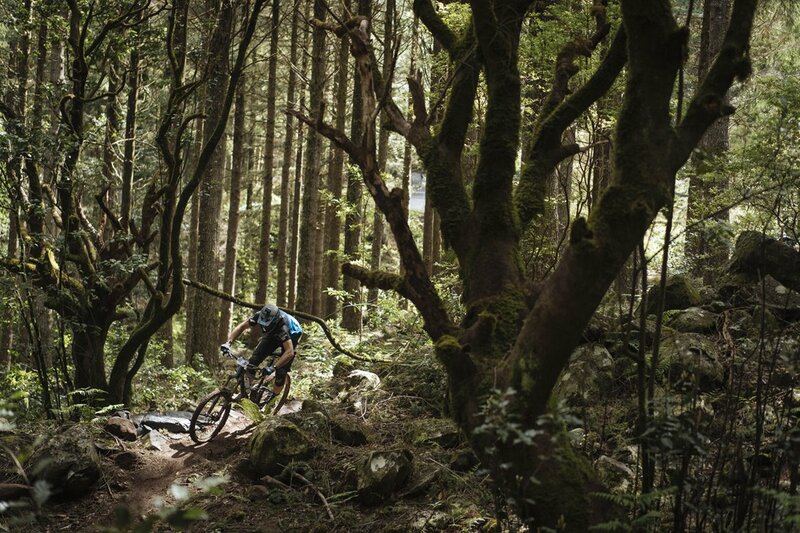 We finished off the day in the Eucalyptus forest and it was such a sweet trail of flowing corners, jumps and drops. It was a killer way to finish the day and I almost forgot about the death fog stage. The camp site that night was in Funchal on soft grass and I slept like a baby in my tent. Also known as the "Adventure day.” The day kicked off in open alpine terrain with some crazy off camber rocky corners. Yoann had finally got his bike and got overly excited trying to hunt me down. A metal pole got stuck in his bike and flipped him off his bike, badly bending his rotor. I felt sorry for the guy as he was having a rough week but he took it in his stride. The hike-a-bike up the mountain pass after the first two stages was unbelievable. It was so steep and so long I thought nothing would justify it, but the views are impossible to describe! 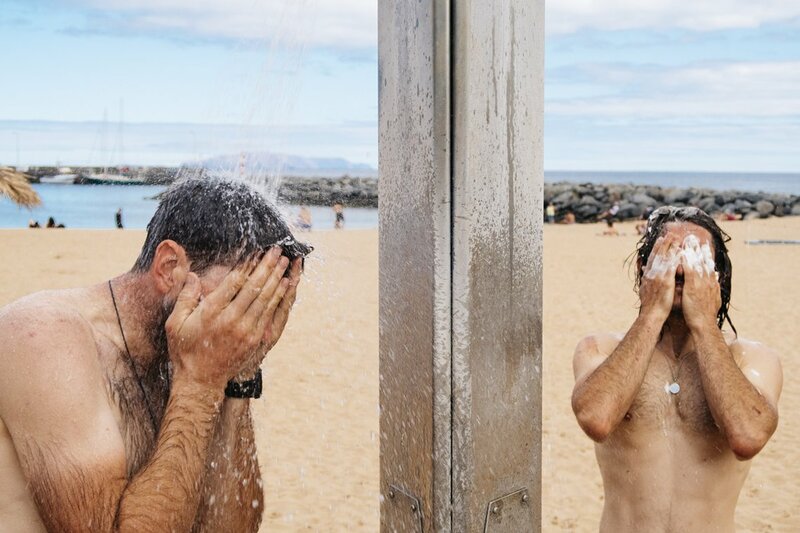 We all decided this was the day that made Trans Madeira so truly epic. I was also super high on caffeine the whole day and talked so much trash, luckily Yoann is almost more talkative than me. After the feed zone and more caffeine there was two 10-minute tunnels to cross through the mountains via the aqueducts. 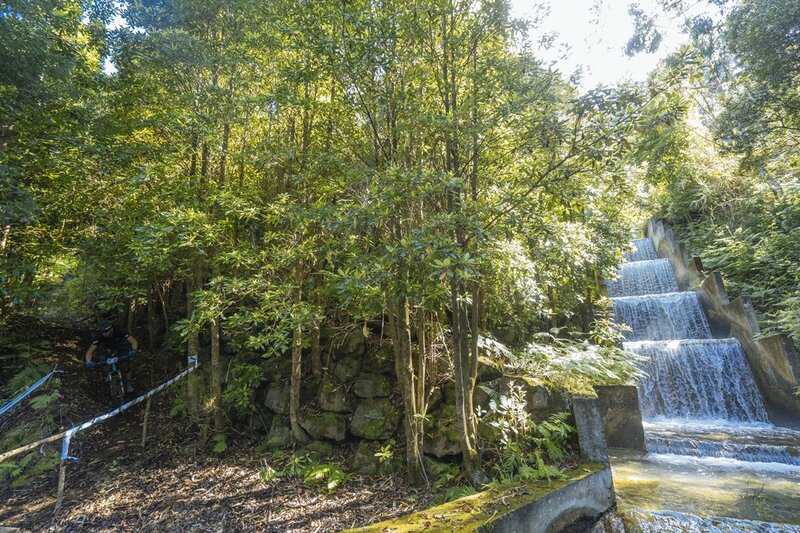 The tunnels were so narrow and at 193cm tall and pushing a bike with 780mm handlebars, I almost fell in the water many times! 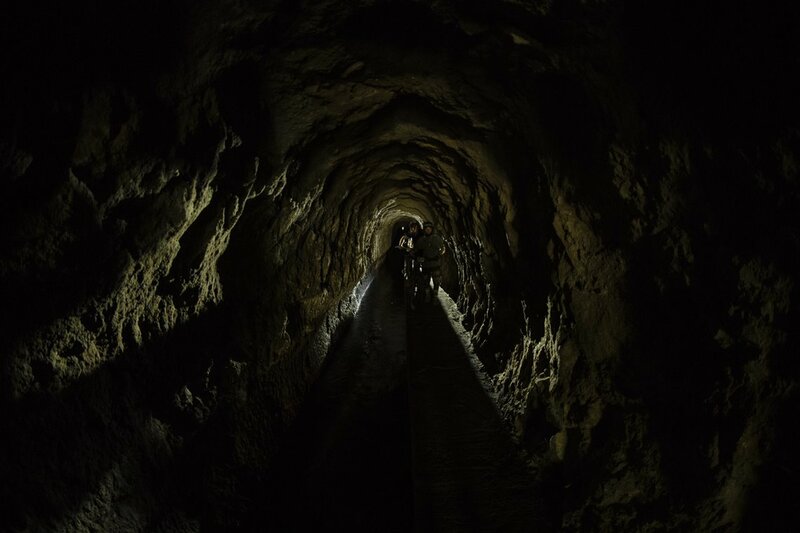 We also didn’t have a light and had to walk in front of another rider who had a super light so we could see through the pitch-black tunnel. It was somehow all worth it because the final two stages of the day were some of the best dirt conditions I’ve ever ridden. It was proper LOAM to the point I had dirt roosting off my front tyre and into my face! 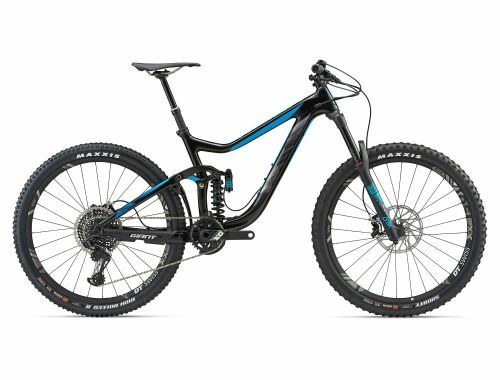 It is something that every mountain biker dreams of riding. We also finished this day rolling down the valley with a big crew along the beach and directly into camp. We were getting into a good routine and the whole race was now a big community. This day was the hardest one for me! It had 9 special stages and was split into the morning and afternoon. My body was tired, my sprained thumb was still stopping me from holding onto the left grip properly and I just had got into a negative mindset which is very uncommon for me. The morning stages were SUPER slippery and I couldn’t find any flow. I kept crashing in slippery corners or on wooden bridges. I felt like I wanted to completely give up and go chill on the beach. In the afternoon I got my mojo back and the trails were rad again. It was all going well until a blind crest that looked like a straight jump. I pulled up and realised that the trail went left and I was off course, it was too late! Dirt, sky, dirt, sky I tumbled off my bike… after picking myself up I noticed my handlebars were completely off line. I asked the event organiser who was filming the carnage how far it was to the end of the stage? He replied ‘about 300m’ I decided that it was quicker to keep going with twisted handlebars than to fix it while on the clock. It was so incredibly sketchy and I almost crashed multiple times in what felt like kilometres of trail. I was having such a fun stage as well and that really upset me. I rolled down the last stage and assessed the damage of the bike and body while almost not noticing the stunning ocean views! We got a group photo and I pretty much couldn’t even smile and was squinting in pain. The last day was going to be massive, but the storms in the mountains were making some of the trails too dangerous to ride so they halved a stage taking out a big climb - thank gosh! Riders were huddled together like penguins to keep warm while waiting around for their start time. Most people looked like shells of their former selves running on fumes and the prospect of getting to a hotel instead of a tent at the end and having a warm shower kept us going. But before that happened there were 4 stages to go. Oh and I should mention that the race at the front was tight… Jerome was still leading in front of Ratboy and Emanuel Pombo. It was very close with only seconds separating them all. Pombo lived on the island and specifically near the day 4 and 5 trails, so he waited to attack those days. I was riding pretty sore with bruised ribs and left foot from crashes. I hung onto my bike tight and got through the stages pretty clean. I tried to follow Yoann down the second last stage, but blew out a corner and then almost died on the multiple blind rollers. I was still having a blast and the last stage was the perfect way to finish off the race. Fast, open and fun. Everyone was giving each other high fives and congratulations. The ride down to the beach seemed surreal, we had made it! It was a real sense of achievement that we had completed this crazy event. I came into the Trans Madeira alone, but by the end I had made some awesome friends from all around the world. The results will show that Emanuel Pombo won and Jerome and Ratboy were 2nd and 3rd (I somehow held onto 9th), but I feel like the racing was a sideshow to the true adventure of Madeira. It was nice to kick back and have a well-deserved frothy with all of the other riders and swap war stories. Then I had to get up at 2:30am for my airport transfer and flight back to Spain! What a mission... Thanks to the organisers for putting on the race and my sponsors for the support in allowing me to get to these crazy events.